WR-Malachi Dupre-Big play threat and more? Comments Off on WR-Malachi Dupre-Big play threat and more? Each year are hundreds of stories being told during the planning and anticipation of the NFL Draft; the 2017 NFL Draft is no different. 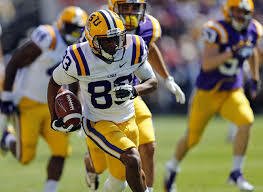 Today we will be looking at a scouting report for junior wide out Malachi Dupre, LSU Tigers. WR-Malachi Dupre, LSU 6’2” 196 lbs. WR-Travin Dural-Raw talent, enough to make a fantasy impact? Comments Off on WR-Travin Dural-Raw talent, enough to make a fantasy impact? Each year are hundreds of stories being told during the planning and anticipation of the NFL Draft; the 2017 NFL Draft is no different. 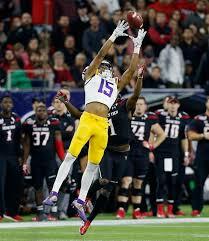 Today we will be looking at a scouting report for red shirt senior wide receiver Travin Dural, LSU Tigers. WR-Travin Dural, LSU 6’2” 203 lbs. There are hundreds of stories being told during the planning and anticipation of the 2017 NFL Draft. Today we will be looking at a scouting report for junior running back Elijah Hood, North Carolina Tar Heels. RB-Elijah Hood, North Carolina 6’ 220 lbs.